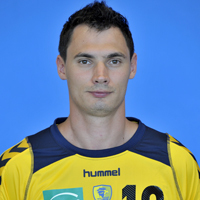 Just as Slawomir Szmal, Mariusz Jurasik and Grzegorz Tkaczyk have transfered, now two more Polish players from the German club Rhein Neckar Löwen will join VELUX EHF Champions League participant KS Vive Targi Kielce from next season on. Top stars Karol Bielecki and Krzysztof Lijewski will return to their home country, the Löwen have announced on their website. Bielecki has played for the Mannheim clubfor several years, and Lijewski arrived from HSV Hamburg before the start of the season. The Icelandic stars Gudjon Valur Sigurdsson and Olafur Stefansson also left Löwen right before this season. Rhein Neckar Löwen, who missed a place in the VELUX EHF Champions League as second ranked team at the Qualification Tournament in Kielce, have signed three new players for the upcoming season, two of them from current VELUX EHF Champions League participants: Danish goalkeeper Niklas Landin arrives from Bjerringbro, Icelander Alexander Pettersson from Füchse Berlin and Swedish back court player, Kim Ekdahl du Rietz, from French side HBC Nantes.